How can a company to get started with the Cloud services? Digital Marketing is quickly becoming one of the key focus areas for any marketing organization. One of the most topical discussion currently is about how to manage the company presence online. 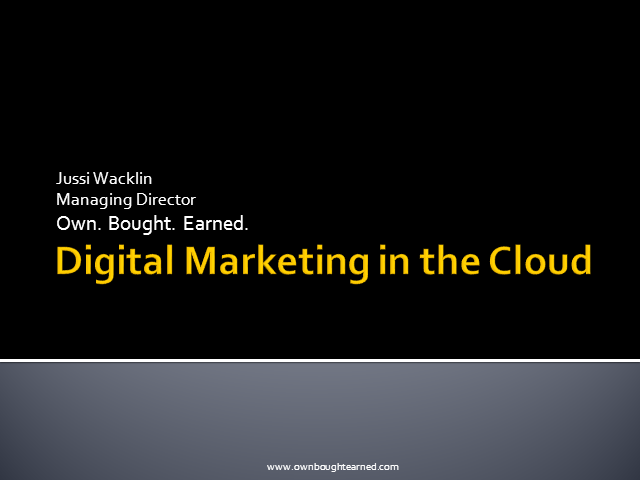 This presentation will cover some of the most cost-effective manners to get started using Cloud platforms. The audience will see a real life examples of how to manage different online marketing tasks without installing a single server.